Hello Beauties! I hope you've all had a brilliant weekend, whatever you've been up to! If you read my last blog post (here) then you'll know that recently I've been on a bit of a mission to find a good matte foundation that will help to control my shine throughout the day, and I think I've finally found it! A while ago while I was browsing the Clarins counter with my Mum on a shopping trip I saw that they had two foundations which would be suitable for my skin - the Ever Matte Foundation and the Everlasting Foundation - and the lady at the counter kindly gave me a couple of samples of each so that I could properly test them out and make sure the shade selection was right for me, as I always worry about foundations oxidising and turning orange on my skin. After testing both of the foundations out, I decided that the Ever Matte Foundation was the one for me and I ended up buying the full size bottle. This usually costs £27, however I managed to get it for £24 as John Lewis were having a special discount on all of their beauty products. I'm not sure if this is still running as I bought it over a week ago now, however I do know that Escentual are also selling this for £24 here. The Clarins Ever Matte foundation is a balancing foundation which helps to provide a natural finish for oily skin types, without compromising on longevity. It contains a complex of minerals and plant extracts which help to absorb excess sebum and oil throughout the day to keep your skin looking fresh all day. I really like that this foundation helps to keep my skin oil free all day, but also doesn't dry out my skin. I have fairly sensitive skin, so anything that dries it out can cause redness and irritation. However, this foundation contains brown algae and acacia gum, which help to seal moisture into the skin all day long. The formula of this foundation was really what sucked me in and tempted me to part with nearly £30, it has a beautiful ultra lightweight formula which you can barely feel on the skin. It also has a lovely matte finish which takes away any shine, without leaving your skin looking flat. It's a very natural matte finish. 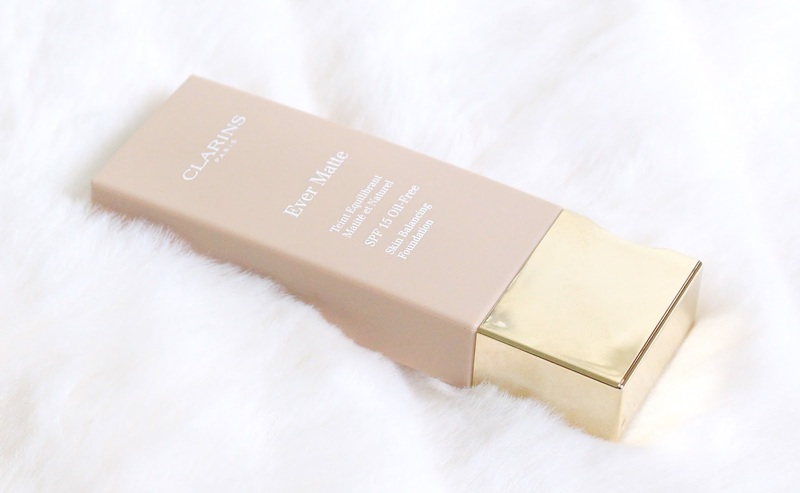 I hate heavy foundations which feel stick on my skin, so this one was perfect for me. The coverage that this foundation offers isn't brilliant, it's definitely a medium coverage however you can build it up to cover up any areas you may want to which is what I've been doing, or just use a little concealer to cover any blemishes. 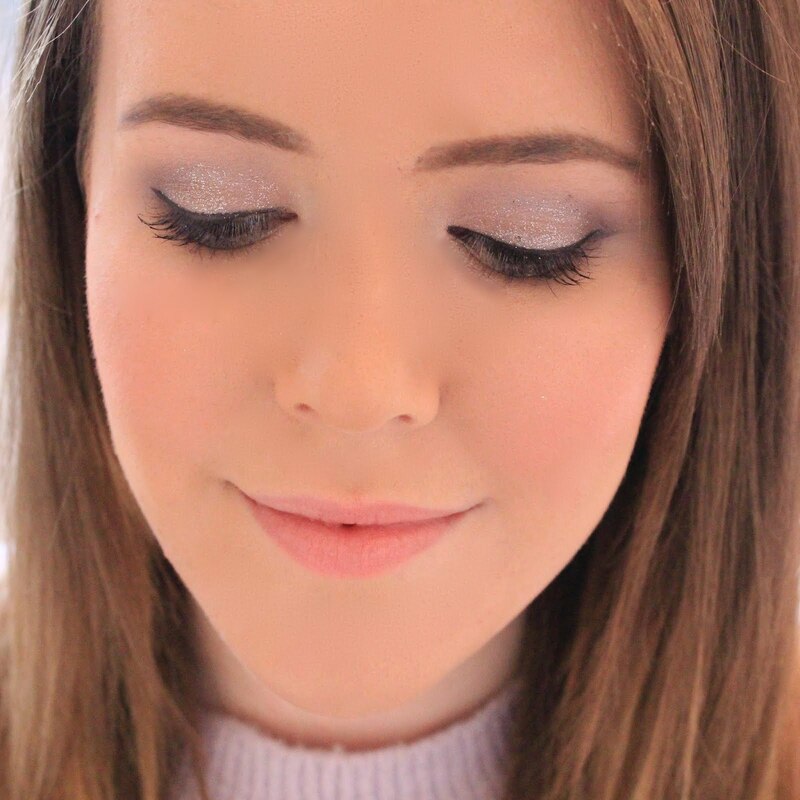 I'm usually a full coverage girl, but I actually really like the lighter coverage as it feel so much better on my skin and leaves my make up looking a lot more natural. The Clarins Ever Matte foundation also contains SPF 15 making this perfect for everyday wear if you are concerned by the damaging effects of the sun (which I am). Overall, I am completely in love with this foundation. It is expensive, and it is only a little bottle, but you only need a tiny bit to cover your whole face and it actually works. I don't mind paying the extra for high end products when they actually work, so I have no buyers remorse with this one! If you are interested in this product, or any of the Clarins foundations I's really recommend popping down to your local counter and asking for a sample as the ladies there are ever so lovely and helpful. I love anything with a light formula that you can't feel on the skin, so this sounds like a dream to me! 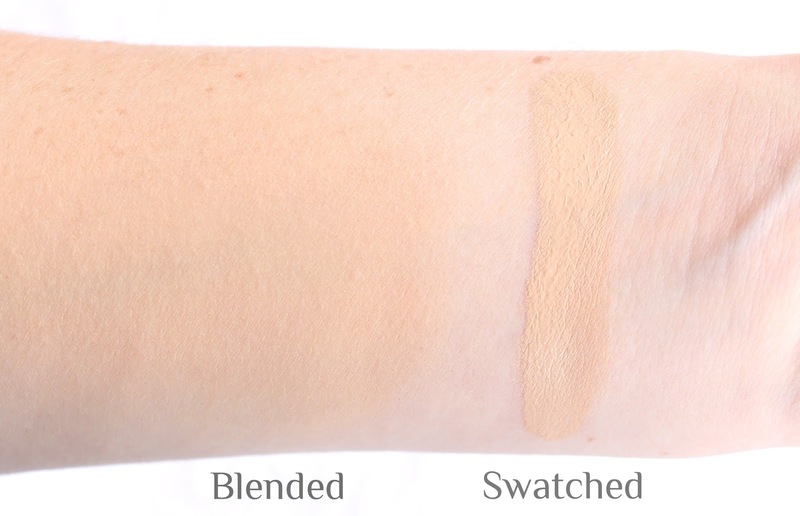 This sounds lovely, it looks barely noticeable once blended! Sounds great and it's good for you that you find a foundation you love. I also really love the name of this foundation for some reason. Since we share the same skin type, I'm going to have to trust you on this recommendation. Can't wait to check out it out! The October Birchbox | What's Inside?